In my quest for a healthy weight and lifestyle, I’ve gotten back to outdoor activities I enjoy: hiking and biking. 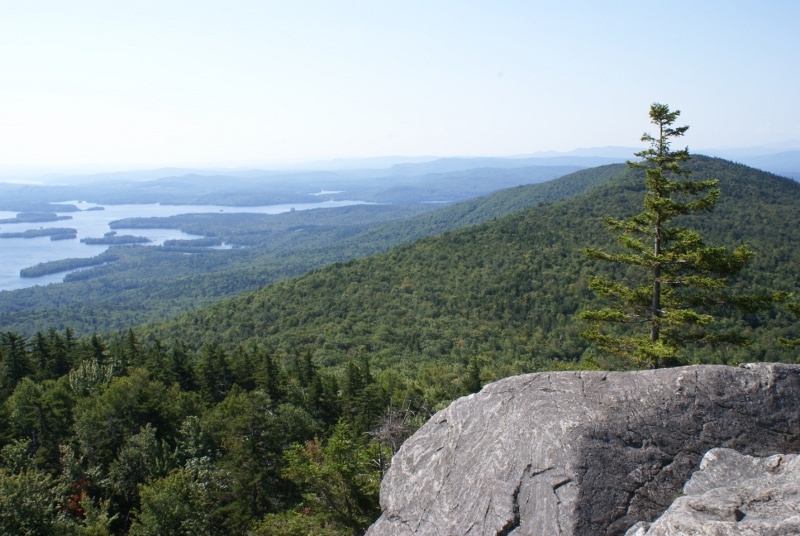 Living in New Hampshire, I have access to dozens of mountain hikes within an hour or two of my house. One of my favorite hikes is the Morgan-Percival loop in the Squam range. The Mt. Morgan is a small peak, but with a bit of challenge towards the top of the ascent. The hike from the parking area to the summit of Morgan is around 2 miles. The climb begins moderately; a well-used trail blazed in bright-yellow ascends moderately for the first two-thirds of the trail. The last third is rather steep, with stone stairs placed to aid the climber. You’ll work your glutes shoving yourself up the hill. I hiked this loop twice in three days, once on Saturday by myself, and once on Monday with a friend, since we had Labor Day off. 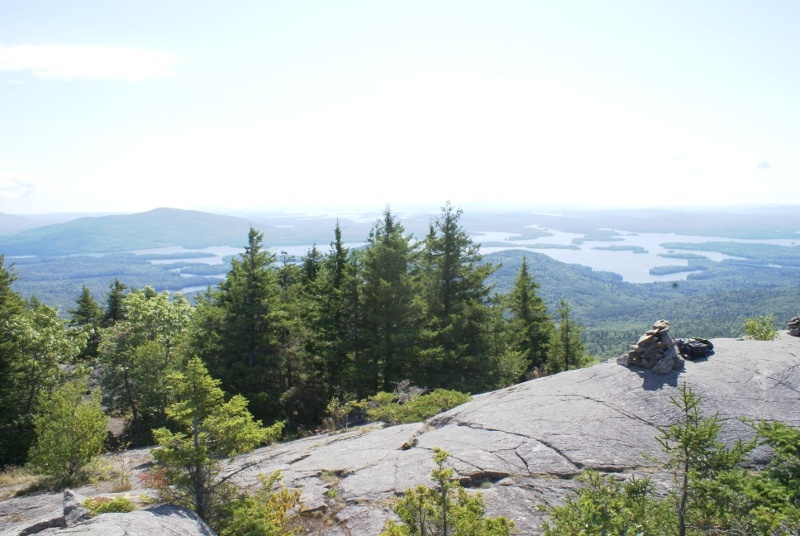 At the top of Morgan, there is bare rock with nice views of Squam lake. The day was a bit hazy, but I took some pictures. From the Morgan summit, I followed Crawford-Ridgepole trail about a mile to the summit of Mt. Percival. While the Morgan summit offers a limited view of the horizon, the views from Percival summit are more uniform. You still fight treetops obstructing your views a bit, but you can see better all around. The descent from Percival is, if you’re looking at the picture above, right in front of you, with two options. From the right side of the shot by the cairn and my pack, you can descent via caves. To the left, you can descend via cliffs…which I don’t know that I’ve ever done. The “caves” consist of granite boulders piled on one another that form short tunnels. There is some tricky footing here, and certain junctions will require you to take your pack off. It’s easier to navigate this area with a friend, but very do-able solo if you pay attention. One of the things I like about a mountain hike is the cardiovascular workout you get. I don’t have a heart-rate monitor yet, but climbing and descending gets my heart rate right up there. Climbing steep sections is a real push, and I’m guessing puts my heart rate up past the fat-burning zone. Descending doesn’t usually push my heart rate as high as climbing, but descent is not easy. If you’ve never done a mountain hike, than you might think descent is no big deal, but it’s a workout. It’s been said that the act of walking is controlled falling. Descending the side of a mountain is essentially a controlled fall with an extra-strong tug of gravity and your pack weighing you down. Oh, yes – your heart rate stays right up there.